Seattle is a “welcoming city” that serves its residents regardless of their immigration or refugee status, says a resolution the City Council adopted Monday. Seattle is a “welcoming city” that serves its residents regardless of their immigration or refugee status, says a resolution the City Council adopted by unanimous vote Monday. The resolution says the city will reject any offer from the federal government to enter into an agreement authorizing Seattle police officers to carry out immigration enforcement. “We will not capitulate to you, Mr. Trump,” Councilmember M. Lorena González said, drawing applause from supporters at City Hall. In an executive order last week, President Trump said his administration would seek such agreements with local law-enforcement agencies across the country. “Seattle believes that the Seattle Police Department should be focused on the safety and security of all our residents regardless of immigration status and refuses to allow its police officers to be compelled into service,” the resolution says. Trump is trying to crack down on so-called sanctuary cities that limit their involvement in immigration enforcement, which is the responsibility of the federal government. Seattle considers itself a sanctuary city because it bars city employees from asking about a person’s immigration status unless otherwise required by law or court order. Police officers are exempted when they have reasonable suspicion to believe that the person has been previously deported and has committed a felony. González’s resolution says Seattle employees will continue to serve all residents regardless of their immigration status. The resolution mostly reaffirms policies that are already on the books, but it leaves the door open to some changes. It directs the police department to prepare a report on the mutual-aid pacts that Seattle maintains with the police departments of other cities. If another city is allowing or even contemplating allowing its officers to carry out immigration enforcement, the council may want to amend Seattle’s pact with that city, the resolution says. In an interview Monday, González said she’s thought recently about her parents, who were initially undocumented immigrants from Mexico. Some of her relatives still lack documents, she said. “I want to send a message to immigrants and refugees in our city that their leaders stand with them,” she said. And it says Seattle will work to create a legal-defense fund for immigrants and refugees. Other cities, such as New York City, already have such funds, González said. 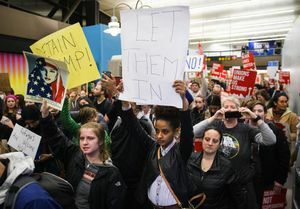 There were protests at Seattle-Tacoma International Airport and in Westlake Park over the weekend against a Trump executive order barring refugees and restricting travel by citizens of seven Muslim-majority countries. 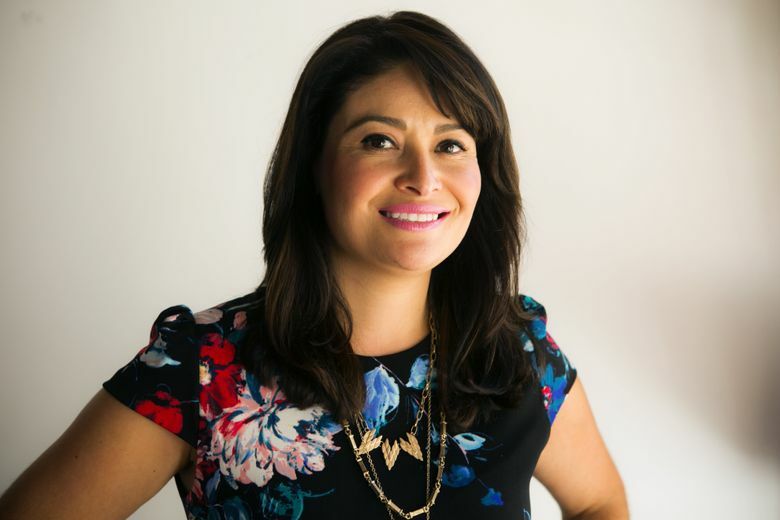 González’s resolution notes that nearly one in five Seattle residents is foreign-born and 129 languages are spoken in the city’s public schools. It says about 3,000 refugees are resettled in King County each year and says Washington state has about 100,000 Muslim residents.